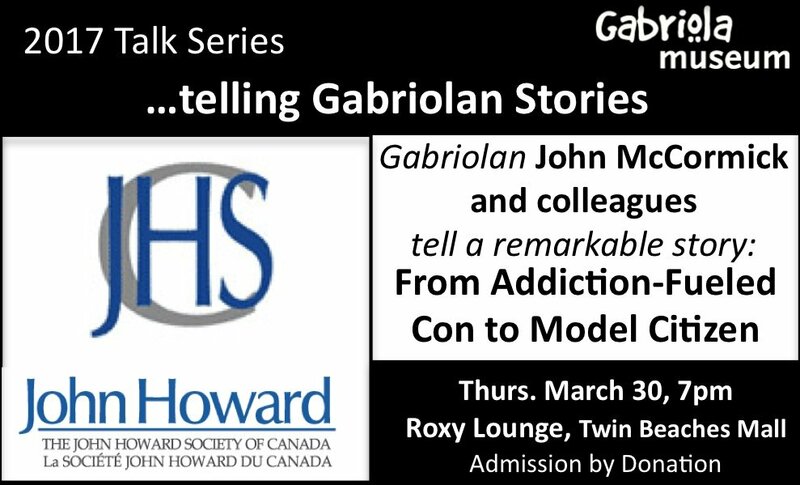 John Howard Society to give presentation on Gabriola about new addiction treatment that is changing lives. Few communities in BC remain untouched by addiction problems. And while the opioid crisis makes the front page, tragic headlines don’t tell the story about addiction treatment. John McCormick, Executive Director of the Nanaimo John Howard Society and a long-time Gabriolan, will be giving a presentation at 7:00 pm, on Thurs, Mar 30 at Gabriola’s Roxy Lounge about the Guthrie House Therapeutic Community, an innovative addiction program that is making a difference. Speaking with McCormick at the Mar 30 presentation will be Dana Young, Guthrie Program manager, and Scotty and Tamas, who have successfully completed the Guthrie Program. This presentation is part of the Gabriolan Stories series and is sponsored by the Gabriola Historical and Museum Society. John McCormick has been the Executive Director of the Nanaimo Region John Howard Society since 2015. He has more than 25 years of experience working in the field of community development at the international, national and local levels. Dana Young has worked in the Social Service field for 30 years. Her specialization is working with addiction in multi-barriered individuals. Dana has been the program manager of Guthrie since its inception. She was a team leader in developing the innovative Guthrie House Therapeutic Community in the years leading up to its launch in 2006, and has worked every day that the program has run since then. Scotty and Tamas are recent alumni of the Guthrie House Program and are now living clean and sober lives in the community. They are successfully employed, and happy to be free of addictive behaviours that undermined their abilities to be community members.